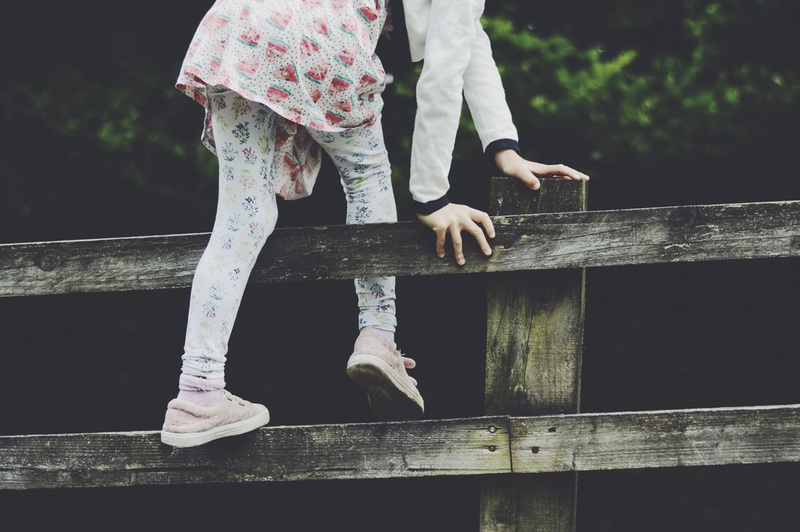 For the month of June The Wildlife Trust are running #30dayswild, a social media campaign to encourage people to try, every day in June, to get outside and do something "wild" with their children. I remember hearing about it halfway through June last year and wishing I'd known about it sooner. So when I saw it advertised again this year I signed us up right away. Today is day one, and I wasn't sure how the children would react when I informed them this is what we'd be doing all month. Oldest was immediately keen, but Middle looked hesitant, but as soon as I said "there's an app" his interest was piqued. He tapped the button and our first act of wild was generated; "celebrate the humble stick". Luckily just across our road there is a little path lined with trees, the perfect spot for hunting sticks. The app suggested we come up with 100 things to do with a stick, so the kids grabbed a pen and paper to take outside with us. Oldest had 1-50 and Middle had 51-100, and Youngest drew a pretty scribble to take with him. The kids let their imaginations run wild and the ideas were never ending. They didn't make it to 100 but they sure gave it their best go. (I've put a little list of their ideas at the bottom of this post). They are already asking if we can do something every day and if we can join in again next year. Our 30 days wild is off to a great start, and it's not too late to join in! Why not browse the website for ideas? Or see what the app generates for you? Or maybe these past blog posts will inspire you; 'We're going on a scavenger hunt", "50 free things to do outdoors" and "Strawberries and sunshine". The ideas are endless. What will your act of wild be today? Quite the collection of sticks. "Returning" the sticks to their trees. Can you think of anymore? Can you come up with 100? I hope you'll join in with 30 Days Wild and see what fun you and your family can get up to this month. Thank you for subscribing to my blog. Make sure to check your junk folder for the confirmation email.